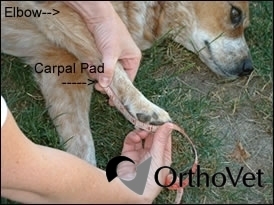 OrthoVet Splints are a “generically Made Splint” and will not fit every contour of the animal’s leg. If you have any questions on the sizing or fit of these splints, please call our customer service department 360-433-6161. 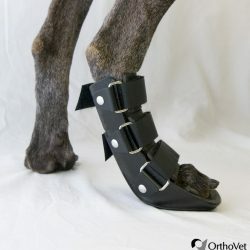 OrthoVet also offers custom-made splints designed for long-term solutions. Sizing Chart Quick Print, click here. "A" 17" 12" 11" 10 1/5" 9" 7 3/4" 5 1/2"
"B" 10 1/2" 7 1/4" 7" 6" 5 1/4" 4 1/4" 3"
“A” Measurement: This measurement is the total length of the splint. Using a flexible tape measure, begin by placing it under the animals foot and measuring from the longest toenail extending up the back of limb to mid-forearm. (Place the limb as if the animal were in a standing position.) 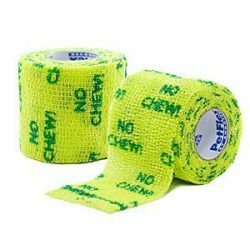 Note: The splint will not extend up and over the elbow. "A" 20" 16" 14" 11" 10" 9 1/2" 6 1/4"
"B" 14 1/2" 11 1/4" 9 1/2" 8" 7" 6 1/2" 4 1/4"
“A” Measurement: This measurement is the total length of the splint. 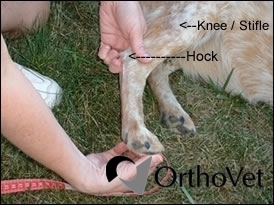 Using a flexible tape measure, begin by placing it under the animals foot and measuring from the longest toenail extending up the back of the limb, over the Hock to just below the dog’s knee. (Place the limb as if the animal were in a standing position.) 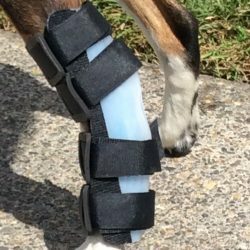 Note: A custom-made Stifle splint is required for Knee injuries click here for more information.